“Historia: Poszukaj” is a national Polish educational project developed since 2015 by The National Institute for Museums and Public Collections (Narodowy Instytut Muzealnictwa i Ochrony Zbiorów) supported by the Ministry of Culture and National Heritage. Since 2018 it is a part of a long-term governmental project “Independent” (“Niepodległa). 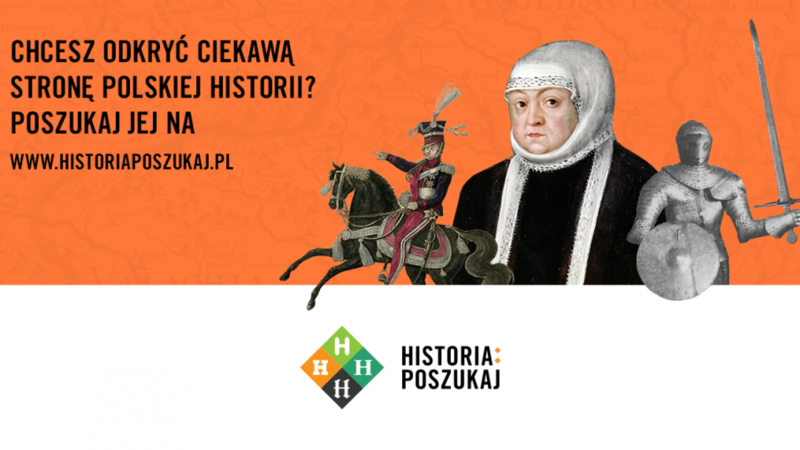 The aim of “Historia: Poszukaj” project is to present Polish history and cultural heritage. It is created mainly for young audience, as well as for the museum professionals and all history lovers.